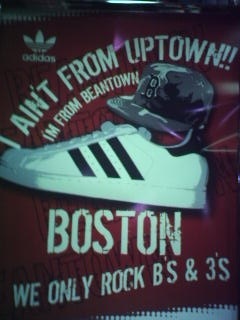 Dorchester, Roxbury and Mattapan….the Three Stripes of Boston. This is what I learned as a little kid in Boston Public Schools and its the reason I wear only Adidas to this day. Throw up those Threes Dot Rats!